With fares to Canada from $1,065, fares to the East Coast from ~$1,144 and fares to the West Coast from ~$1,195 it’s rare to find transatlantic deals better than this. The easiest way to find these fares is probably by using the ITA Matrix search facility as it’s likely to offer you a far broader range of flights than Google Flights. As you can’t book the fares through Matrix you should find dates that work for you and then head over to Google Flights or your preferred OTA and book through there. I used SkyScanner.com and found all the fares with ease. Most of the itineraries I’ve seen involve a combination of airlines which may mean that the individual airline sites don’t offer up the fares when you search for them. If you’re booking these fares using a credit card that offers a bonus only when you book directly with an airline you should search for the flights on Google Flights and then, as Google will probably suggest, call up the airline with the details provided. To get the most out of your Business Class experience you should make sure that you keep any flights on narrow-body aircraft as short as possible (as they will mostly offer a regular short-haul Business Class seat) and maximise your time on wide-body aircraft….like this: You may have to pay a little more but it will be worth it. 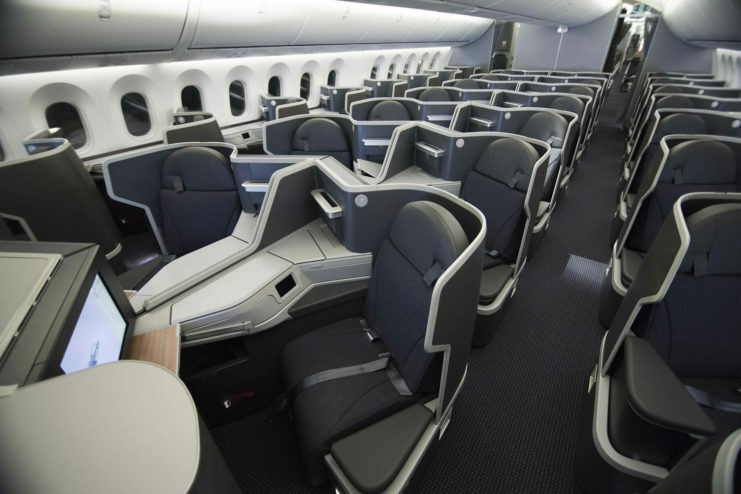 You’ll find the best Business Class seats on the American Airlines 777-300ER aircraft and the Finnair A350 while the weakest Business Class seats will be on offer by British Airways. A lot of varying itineraries will cost the same but the Business Class cabin your booking will vary significantly – make sure you check what aircraft you’re booking before you hand over your credit card details. These fares are too good to hang around for long so availability is likely to drop very, very quickly – if you see a fare you like and find dates that work for you I suggest booking it asap or at least putting it on hold while you make whatever other arrangements you need to.